We strive to enable our patients and clients to achieve any goal they set! To celebrate these many successes, we have dedicated a board to our clients with our success stories. You will find more testimonials on Facebook. “I can honestly say I don’t know where I would be today if it weren’t for the treatment and care I received at Next Level. I was in a car accident that changed my life and I wasn’t sure what my future would look like but once I was connected with Joe I felt like I was in the best hands. Joe and all the physical therapists at Next Level are truly the BEST. His knowledge and willingness to find a solution in any circumstance even when I felt my absolute worse and wasn’t sure if I would walk the same or be able to even lift a bag of groceries is what kept me motivated. I continue to go to Next Level but no longer as a patient but as a client to get trained by Nick and keep up with my maintenance and get a great workout. The trainers will push you and honor what you need to get you back to yourself or even better than before. I trust them completely and would recommend them to anyone. If you are looking to be treated with the absolute best care with the best people in the best facility, Next Level is where you want to be. My life is better for working with them and I am forever grateful for all that they have given me. “It took me 8 months to walk through the front doors of Next Level – not because of an injury but because I was lazy and hated to exercise. My brother and sister-in-law have been working with the trainers and staff there for almost two years, and they tried on numerous occasions to coax me into better health with Next Level. I had finally reached rock bottom in my overall health at the age of 48. I was diagnosed with diabetes Type II about 1 1/2 years ago, and had herniated one of my lumbar discs twice. After undergoing physical therapy for 3 months at a different facility, it offered little relief. After several more months of denial and worsening physical condition, I decided it was time to take that first, very hard and arduous step towards overall good health. The moment I walked through their front door, I felt this was the right decision. I wasn’t just greeted by one of the staff members but all of them, and they were actually glad to see me start on a better path of a healthy lifestyle. My initial consultation was not only informative but enlightening. I had no faith in myself, but Next Level did and they knew I could reach the goals I set for myself. That was on November 10, 2010. I am now nine months into working out at Next Level. I have lost 34 pounds, gained muscle tone, and my recent laboratory work showed I no longer have the diagnosis of diabetes. I’ve not had any back problems and my overall endurance and conditioning has increased ten-fold. I couldn’t believe that better nutrition and exercising the proper way could have yielded such phenomenal results for me. I have accomplished what I have thus far with the expertise and support from the staff, as well as the many clients I see every week training along with me. I hope I can inspire others as they have inspired me. I had knee surgery at the Steadman Hawkins Clinic. I knew after my first rehab appointment at another facility I needed to change. Their approach was more like an assembly line. “Go do this excessive for X amount of reps and tell me when you’re done”. I wanted better and found Next Level. Next Level gives personalized attention with great equipment, and techniques brought over from the pro sports world. But most importantly is the positive, encouraging and challenging attitude of the entire staff of Next Level. I was able to ski 20 times following bilateral knee replacements after rehabilitating with the Next Level staff. Get the most out of rehabilitation, “take it to the Next Level”. Mike wrote the book for over-achievers and is the prototypical client for Next Level Sports Performance (NLSP). Mike has trained on and off at NLSP since 2006. He sets the pace and tempo for all clients. Mike is an aggressive outdoorsman who never backs down from a challenge. Biking, running, climbing and skiing are just a few of the activities he does on a regular basis. Last summer on a beautiful Colorado day, Mike’s life took a sudden change. He was rock climbing in Colorado at Eldorado Canyon State Park with his 16 year old son. Mike lost his footing and slipped causing him to fall. The 30 foot vertical fall knocked him unconscious, fractured his hip and forearm. The event turned his son into a man when he had to hold the belay rope to stop the fall. With the help of his son and a fellow climber, Mike was able to rappel to safety where immediate medical care was waiting. Mike underwent several arm and hip surgeries to repair the injuries caused by the rock climbing accident. Due to Mike’s inner strength, determination and work ethic, he has leveraged the resources of NLSP to make a near full recovery in a remarkable 6 months. This winter he resumed to his international travel schedule. Mike is running and pursuing the passion of outdoor activities on the slopes in Colorado and Norway. Mike is a true testament to the raise the flag section, an inspiration to all and most importantly a great friend. I have been going to Next Level since shortly after it opened. At the time I was coming of ankle surgery and been doing physical therapy with another operation, but I was looking for somewhere where I could incorporate training into my rehab so I could back in shape and return to a competitive level. Next Level was perfect for this; I not only received the physical therapy I needed, but also sport specific training and was able to return to my sport in better shape than I was before my surgery. Since that time I have continued training at Next Level and have received invaluable advice and information on training issues and other injuries I have suffered. Next Level is unlike any other physical therapy/sports training facility I have been to. When you walk in the door at Next Level, you are not just another patient. They treat you as an individual, and take the time to get to know you and your needs. By doing this, they can cater their treatments to your specific needs in ways other facilities cannot. The hands on techniques taken at Next Level provide thorough and effective treatment. This, coupled with the fact that Next Level utilizes the newest technologies available in the therapy and training fields, allows the staff at Next Level to provide the best treatment available. Because of this, you will see positive results faster than you would at other facilities. After my most recent surgery, I did the initial therapy at another facility and did not see much change or improvement; but, after just a couple visits to Next Level, I saw dramatic results in my recovery. The concern the staff took in my mentality was amazing. The staff shares each patient, so you aren’t with the same person every week, which adds to the experience. No matter which staff member I was working with on the day would take a few minutes after the session was over to talk to me about the process and instill confidence in me that my body was going to take care of itself and that I was in good hands. I got to the point where I would look so forward to the end of appointments and the ability to talk to my therapist about whatever was going on in my life that could be hindering or holding back my recovery. I never could have thought that this portion of recovery could be so essential and that Next Level could provide it in the excellent capacity that they did. “Your group did a rehab on Ben after he had complete ACL reconstruction starting August of his sophomore year…he was really concerned about whether he could play lacrosse in the spring and if he could make Varsity at Golden High School. Well, he made Varsity and played sophomore, junior, and senior years. The team didn’t have a very good record, but there were many talented individuals on the team. Ben received Most Valuable Player his senior year (2010-2011). I just thought you would be interested in knowing your rehabilitation was successful!!!!! Many thanks for taking such good care of him! I trained at Next Level Sports Performance for the last 2 summers for a bicycle endurance event. The event is called The Leadville Trail 100 and is a high altitude mountain bike race that covers 104 miles, over rocky and steep terrain. I had never attempted such a challenge before and I set my goal of finishing the event within the 12 hour cut-off time. This event required every bit of preparation if I was going to finish, and with the help of the Next Level Team, I completed the first year’s event at 10:45 and the second year at 11:29. My training consisted of strength, weights, stretching, cardio, nutrition, and mental toughness, in addition to a significant amount of time on the bike. The program at Next Level complemented my bicycle training to create an overall great experience with results that exceeded my expectations. The staff at Next Level has forever changed my approach to training and goal setting. These are lessons learned that I will take with me to my next challenge and will certainly include Next Level as part of my training program. Thanks for all your help. Michael Limback arrived at Next Level with a partially ruptured calf at the end of August 2008. Through his military work ethic and attention to detail he was able to turn a long term injury into a rapid recovery. Michael was able to complete the Marine Corps Marathon on October 26, 2008 with a finishing time of 3:49:50. Thanks to Michael’s hard work and determination, he was able complete the marathon just 2 months after a significant injury with limited precise training. We have hung a United States Marines flag in his honor at Next Level. In April 2007, I tore my meniscus and ACL while skiing at Breckenridge. Often, skiers never fully recover from such injuries due to the difficulty in fully strengthening the knee to the point where you can ski as hard as possible without worrying if your knee can handle it. As someone who bases my life around skiing, it was extremely important for me to make a full recovery both mentally and physically. I began rehab at Next Level about 10 weeks after surgery. Prior to Next Level, I had been doing rehab at a non-athlete specific clinic due to traveling constraints. Even though I was not behind schedule in my recovery, I improved dramatically after I started going to Next Level. The staff at Next Level pushed me as hard as I was willing to go; they were able to understand the drive I had to recover much better than my previous physical therapists. I was able to return to the snow much before I was expected to, and was fully recovered by the slopestyle competition season of the following winter (which was less than 8 months after my injury). Next Level’s insistence on bringing my entire body back to competition shape allowed me to return a much stronger athlete than I had been before the injury. Since recovering, I’ve used the knowledge, expertise, and drive I learned from the staff at Next Level to stay injury free while pushing myself as hard as I can. The staff at Next Level helped (more than) overcome an injury that threatened my skiing aspirations. I highly recommend any athlete returning from an injury to consider Next Level for their rehabilitation. I have been having knee difficulties for a number of years; it really got tough to do daily activity in the past 6 months. 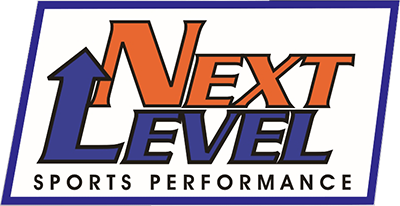 The folks at Next Level Sports worked with me with very personal/hands on level to see if we could get some relief as well as more flexibility and strength. After a few sessions, the Next Level folks strongly recommended that I go see an orthopedic surgeon as they believed the only long term solution might be a total knee replacement. Their reference was right on and I had knee replacement 2 months ago. The recommendations, schedules and forecast Next Level gave me were right on line with what the surgeons told me. I appreciated the flexibility in scheduling my sessions as my work schedule changes very frequently. While I have been to Next Level specifically for rehab, I have also been impressed with the clients that are working toward better performance in athletics and daily life. I’ve seen a number of those people “grow before my eyes”. Overall a very professional group that knows what they are doing and activates it with great passion and enthusiasm.